Garden of Code encourages users to learn how to code by providing them with visual representations of their progress. 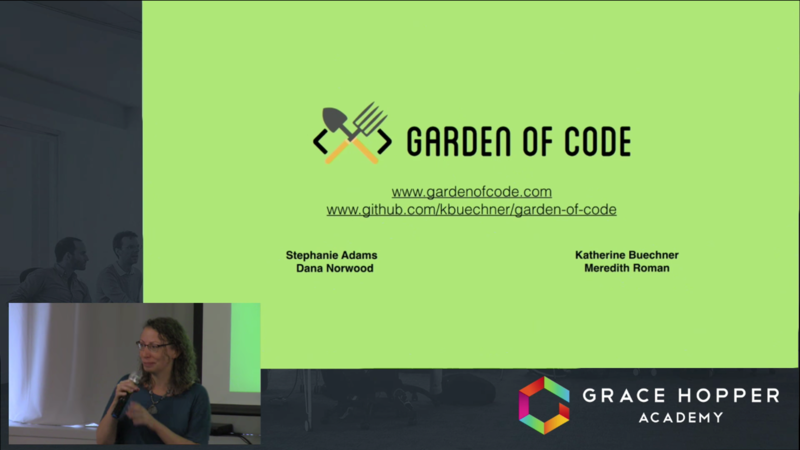 Using nurturing and collecting as motivation, as seen in popular games such as Pokemon Go and Neko Atsume, Garden of Code aims to be a friendly and accessible platform for a younger audience — particularly girls. Users select paths through which they learn new concepts to apply to coding challenges. As users complete challenges, we test their code in a Docker instance, and use the D3.js data visualization library to generate a plant.